We all seem to age at varying rates. But what is known is that there are many factors that may affect our facial appearance such as diet, lifestyle, smoking, exposure to the elements and exercise. These then lead to the problems that make us unsatisfied with our appearance; wrinkles, frown lines, crows feet and sagging chin and jowls. These days there is lots of advice about using cosmetic surgery, or chemical agents, to reduce the appearance of lines and wrinkles. Both these options are expensive, and not without risk. There is an alternative to these more radical options, Facial Revitalisation Acpuncture, sometimes known as facial rejuvenation, or cosmetic acupuncture. 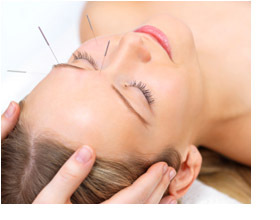 Facial Revitalisation Acupuncture has been continuously in use for thousands of years, but is still relatively unknown in Britain. It was originally used in the Chinese Imperial Court to help woman of the royal household maintain their beauty. Before an initial Facial Revitalisation Acupuncture session the practitioner takes a full medical history and gives you the opportunity to discuss the proposed treatment plan. Ultra-fine, sterile needles are inserted painlessly under the skin in the areas causing you the most concern. Over the course of treatments, lines reduce, muscle tone increases and the skin begins to look brighter and clearer. All without chemical peels, or that strange 'frozen' expression that so frequently accompanies Botox. Treatments normally conclude with a facial massage. The practitioner may also give lifestyle and dietary advice, as well as advising on facial exercises for you to do at home between treatments. If you have any matters you wish to discuss before embarking on a course of Facial Revitalisation Acupuncture, please feel free to discuss them without obligation.